1 Bedroom Flat For Sale in Chesterfield for Guide Price £70,000. MODERN ONE BEDROOM FLAT WITHIN WALKING DISTANCE TO TOWN CENTRE! This well presented flat is ideal for first time buyers, investors and downsizers alike. 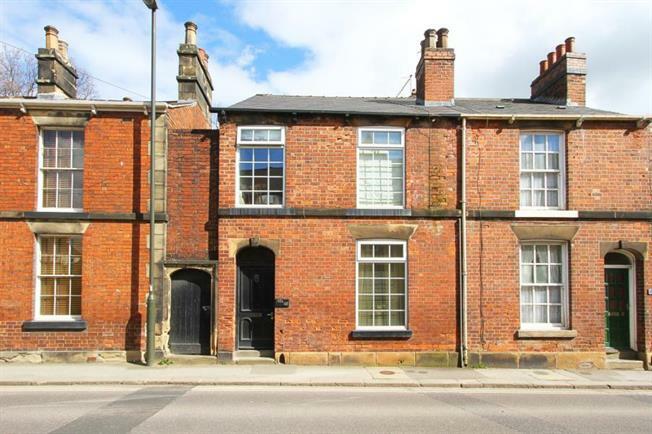 The property's convenient location allows you to be in the town centre or train station within minutes. Briefly comprising Entrance Hall which is shared with the above flat, Lounge, Bedroom, Shower Room, Kitchen, separate Utility area and useful Cellar with the potenial to convert this. There is a yard to the back and on street permit parking can be used on close-by Abercrombie Street.